A great example of the diversity found in the IFLN Network is UK-based member, James Cargo Services (JCS). Specializing in the international movement of livestock, JCS has been shortlisted for the third year in a row for the British International Freight Association's Special Services Award, and is the first company to achieve this feat. The Special Services Award is one of nine different awards given by BIFA in different categories each year. All awards honor individuals or companies who have excelled in a particular area of the freight forwarding business over the previous 12 months. In 2012, JCS submitted a proposal based on the imminent change in guidelines to legislation controlling the import of pets into the U.K. The changed legislative requirements, along with many other countries that also modified their legislation in this field, caused a surge in the international movement of pets. In advance of the influx of work, JCS gave a presentation to attendees from 39 different countries at the International Pet Transport Association (IPATA) conference in Hong Kong. This was in conjunction with meetings held with London Heathrow International Airport’s Animal Reception Centre and the Animal Health and Veterinary Laboratories Agency (AHVLA), an agency of the U.K.'s Department for Environment, Food & Rural Affairs (DEFRA). The meetings were held to ensure a smooth transition to meeting the new requirements and to minimize the effect of cross-border shipping, of not only animals and their owners, but also the 30 or so airlines for which JCS arranges the necessary clearances. In 2013, JCS won the Special Services Award for the shipping of two gorillas on behalf of the U.K.'s Port Lympne Reserve and Howletts Wild Animal Park. One, a male gorilla named Otana, was moved to Sydney, Australia's Taronga Zoo, and the other, a female named Lou Lou, was flown to Belo Horizonte Zoo in Brazil. Timing and expertise are critical in these types of moves, noted JCS director Daniel Edwards, especially when dealing with an endangered species. This is why for the movement to Brazil, JCS was referred by another freight forwarder for their expertise with this sort of shipping, as well as with the recommendation of the zoo in question. One of the two gorillas JCS shipped from the U.K. to Australia and Brazil. JCS dealt with all the various logistical aspects of the moves. This involved working with the zoos themselves, vets and airlines, as well as ensuring that all Convention on International Trade in Endangered Species of Wild Fauna and Flora (CITES) and customs formalities were correctly completed. 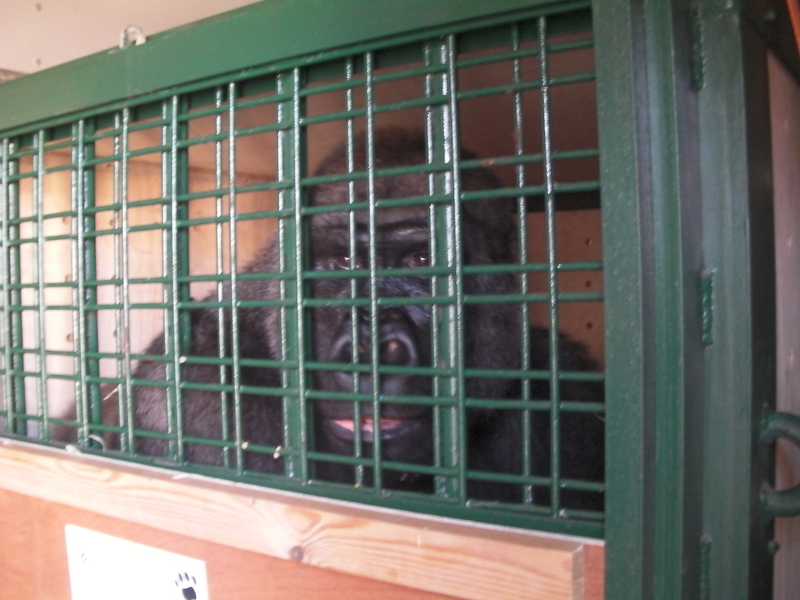 The gorillas were collected in JCS's specially converted quarantine-approved livestock trailer and since most zoos don’t have their own gorilla crates for the primates to travel in, the zoos also used the forwarder’s own specifically designed flight crate. JCS also offers this service for flying other large animal species, such as lions and tigers. The winner of the 2014 Special Services Award will be announced by BIFA at the end of January 2015. While JCS is not able to go into too much detail about the specific content of their submission this year, as it could influence the result, Edwards revealed that it does relate to another challenging move handled by their livestock division.